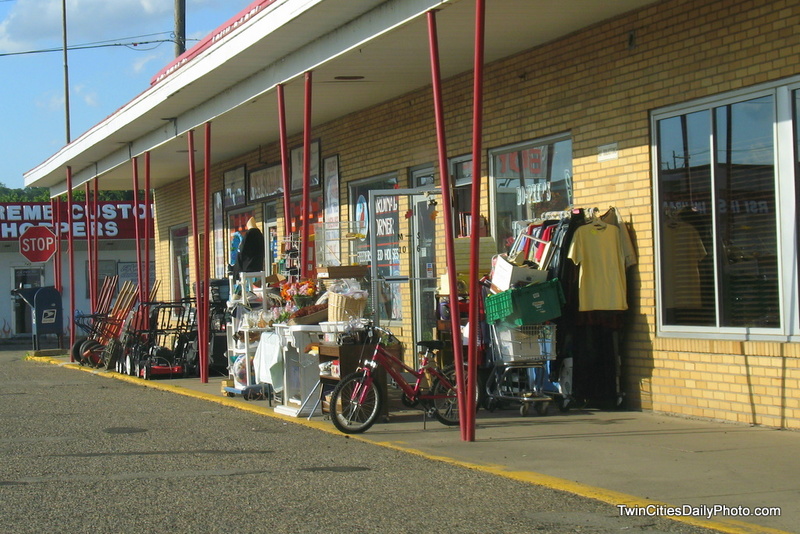 What happens when you have a hardware store next to a thrift store, with both store have items for sale sitting out on the sidewalk....well, it looks like a bunch of junk from this angle. I'm sort of laughing at the photo because there are actually three store entrance doors among all of the goods for sale [there is a bird feed store inbetween]. Though with this tight angle, makes it tough to find the entrance. Really I liked how trustworthy both stores feel having so much of their inventory sitting out in the open. I guess it takes a small town attitude these days.